Wow, what an awesome debut novel. Karen Barnett has quickly made her way to my favorite author’s list. I’ve been visiting Karen’s website for about a year, and following her insights on Mistaken, so it was a real pleasure for me to be able to read it! I loved the way she brought the characters to life, showing us every side of them. Karen shows the characters as real human beings, meaning that they struggled with things in their past and present, just as we all do. Even though this is a historical story, I could relate with some of the characters and the difficulties and struggles they were having. They just seemed so real, I still feel like I am involved in the story! Ms. Barnett does a fantastic job of weaving the story together, with all of the twists and turns, showing the God is the one who is in control, and He is the only one that can change our lives. This is Karen Barnett’s first book, and I know I loved it and can’t wait for another book from her. If you enjoy historical fiction with suspense added in, you will be thrilled with this book! It is truly a delightful and entertaining read! God is the same yesterday, today, and forever–and yet our human story changes daily. As a writer of historical romance, I love to explore my characters’ faith and how their experiences impact the way they view God. There’s nothing I enjoy more than a beautiful love story and God’s devotion to His people is the best one of all. It even ends with the hero riding in on a white horse! (Revelation 19:11). 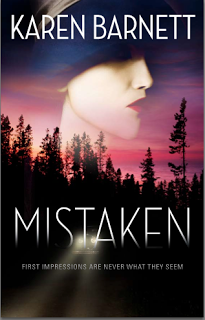 My first novel,MISTAKEN, releases in July 2013 with Abingdon Press. I am published in several nation magazines, including “Birthday Wish” which appeared inGuideposts Magazine in February 2010. 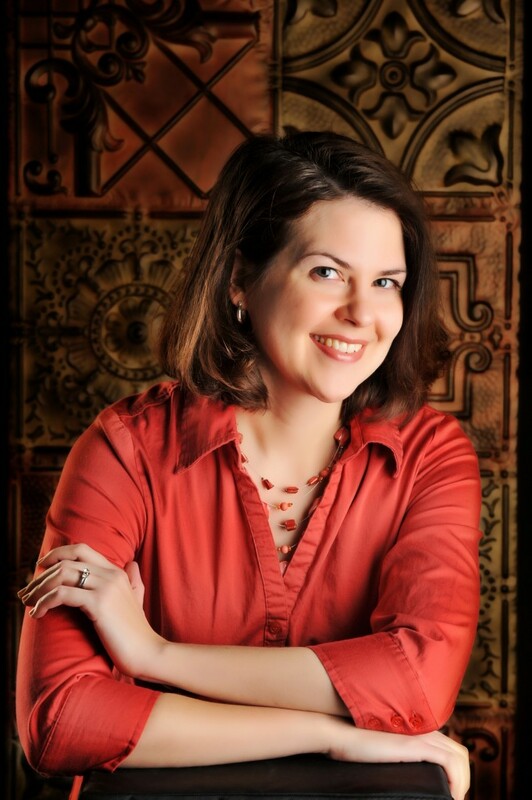 I am represented by Rachel Kent of Books & Such Literary Agency. I live in the beautiful Pacific Northwest with my husband, two children, three furry felines and the newest addition–a dachshund puppy. Hope’s hideout. It’s one thing to live with the consequences of your own choices, but what happens when your life is changed because of someone else’s? This insightful and uplifting guide will comfort, support and encourage you through whatever situation you must face. Cynthia Ruchti, who has walked this road herself, assures readers that God is ever present and His love never wavers. There is hope, grace, and a future in every situation, especially those that we did not cause. “Surviving the fallout of other people’s choices” is just what happens when someone, such as a spouse leaves his wife and family for another women, and the wife is left to deal with the situation and survive as best she can. This book is a collection of stories of many who have been forced to deal with abuse, betrayal, rejection, divorce, and much more against their will. The stories are short and can be read as a devotion, or just read when you need a pretty fast read. They are not easy stories to read, because each story has its own unique situation and struggles. I wish this book would have been out about eight years ago when my son went through some of these same things. His story could have easily been in this book. I won’t go into details, but without God reaching out and giving my son, as well as myself the mercy, grace and strength we needed, I’m just not sure where we would be now. 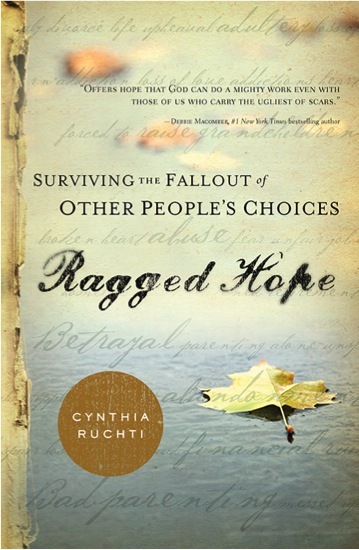 I love an appreciate the wisdom and direction Cynthia Ruchti so heartfully gives in Ragged Hope. There are so many people that need this book! The number of situations just like these in the lives of family and friends is heartbreaking. This is one book I will definitely put in the hands of anyone I know who is facing the rejection and betrayal of someone they love. Thank you Cynthia Ruchti for a book so well needed! 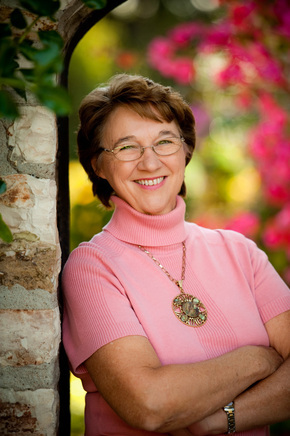 Cynthia writes stories of hope that glows in the dark through her novels, novellas, devotions, and speaking for women’s events and retreats as well as writers’ conferences and workshops. She draws from 33 years as writer/producer of The Heartbeat of the Home daily radio broadcast. Her books have been recognized by Reviewers’ Choice, Retailers’ Choice, Readers’ Choice and other honors, including finalist designation in ACFW’s Carol Awards. 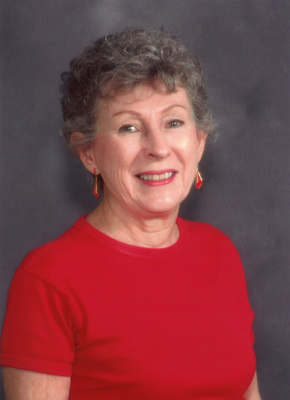 Cynthia serves as ACFW’s Professional Relations Liaison. She and her plot-tweaking husband live in the heart of Wisconsin, not far from their three children and five grandchildren. 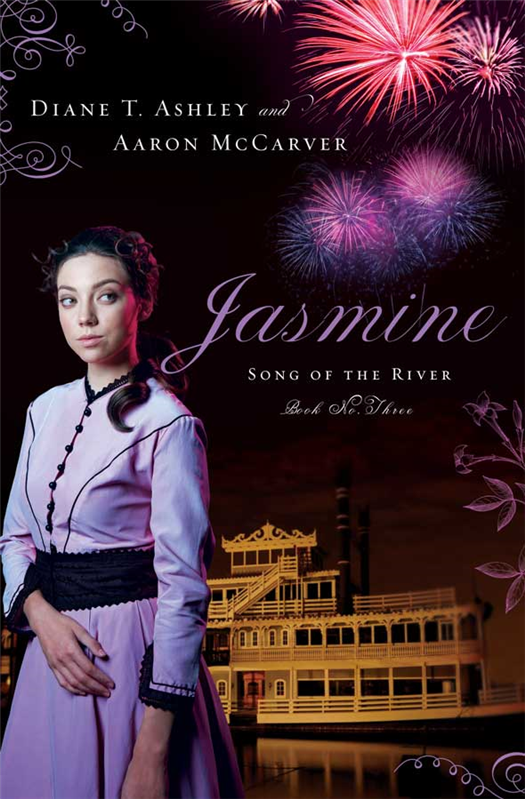 Jasmine Anderson runs away from her riverboat home and the faith and love of her past to pursue a life of fame. She flees to a showboat where she gains small roles and attracts the seductive attention of the lead actor and the bitter jealousy of a veteran actress. Then a great tragedy sets off a chain of events that creates promising new opportunities but also grave danger for Jasmine—and ultimately the chance to discover a dream truly worth living and sacrificing for. I didn’t read the first two books in this series, but I enjoyed getting to know Jasmine in this third book. Jasmine’s story since she is the younger of the three sisters, and it seems her sisters didn’t want to let her grow up. David had been in love with Jasmine for a long time, but she didn’t seem interested in him. Will she finally figure out what he feels for her? This is a really good read, with a lot of twists and turns weaved throughout the story. When Jasmine was able to follow her dream, she puts God on the back burner in her life, and makes her career more important. Thankfully David was there to help her when she needed help. I like that they authors weaved the importance of allowing God to lead our lives, and shows us that ‘the grass is not always greener on the other side!’ I also enjoyed the historical events so vividly described throughout the book. Everything about this book makes for a very fun, interesting and entertaining read. If you enjoy historical fiction, I encourage you to pick up a copy of Jasmine. You will be delighted! I received this book from the publisher Barbour Books to read and review. I was not required to write a positive review. The opinions I have expressed are my own. I am disclosing this in accordance with the Federal Trade Commission’s 16 CFR, Part 55. Diane T. Ashley, a “town girl” born and raised in Mississippi, has worked more than twenty years for the House of Representatives. She rediscovered a thirst for writing, was led to a class taught by Aaron McCarver, and became a founding member of the Bards of Faith. Aaron McCarver is a transplanted Mississippian who was raised in the mountains near Dunlap, Tennessee. He loves his jobs of teaching at Belhaven University and editing for Barbour Publishing and Summerside Press. A member of ACFW, he is coauthor with Gilbert Morris of the bestselling series, The Spirit of Appalachia. He now coauthors with Diane Ashley on several historical series. Boston of 1891 is a city of hope and ambition, where mariners, merchants, and dreamers thrive in the cobblestone streets of America’s most historic city. Within the harbor of Boston’s naval shipyard, Lydia Pallas has become a trusted assistant to an Admiral in the U.S. Navy. Fluent in seven languages, she spends her days translating documents from all over the world. Lydia’s remarkable language skills bring her to the attention of Alexander Banebridge, a mysterious man on a quest to rid the world of the scourge of opium. Only Lydia has the rare combination of language skills and courage he needs to advance his cause. A man as coolly analytical as he is relentless, Bane never bargained on falling in love with Lydia. As he battles the bittersweet love that grows between them, Bane’s mission will take Lydia away from everything—and everyone—she ever held dear. 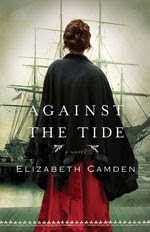 With fast-paced intrigue and unforgettable characters, Against the Tide is Elizabeth Camden’s most romantic novel yet. A youthful indiscretion has cost Lizzie Poole more than just her honor. After five years living in exile, she’s finally returning home, but she’s still living a secret life. Her best friend Ria’s dying wish was for Lizzie to assume her identity, return to London, and make amends that Ria herself would never live to make. Bearing a striking resemblance to her friend, and harboring more secrets than ever before, Lizzie embarks on a journey that tempts her reckless heart once again. . .
Before becoming a Christian, Mark Ryker ran with a bad crowd and broke hearts. Including his father’s. 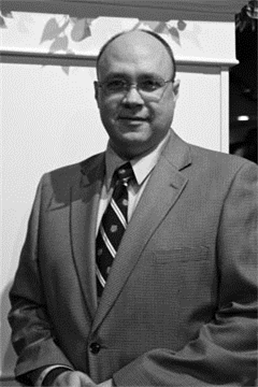 Now a successful businessman, Mark has come home to Corinthia, Georgia, to make amends. But no one will forgive him. So when the widowed mother of four renting his dad’s run-down house needs help fixing up the place, Mark gets to work. Pretty Hannah Hughes and her sweet kids have him longing to be part of the clan, but Hannah isn’t ready to let go of the past. Still, they are working together on a house full of hope—and that’s all Mark needs. Kate Donovan is burned out on work, worn down by her dating relationships, and in need of an adventure. 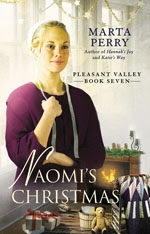 When Kate’s grandmother asks Kate to accompany her to Redbud, Pennsylvania, to restore the grand old house she grew up in, Kate jumps at the chance. Yet, she discovers a different kind of project upon meeting the man hired to renovate the house. Matt Jarreau is attractive and clearly wounded — hiding from people, from God, and from his past. Kate can’t help but set her stubborn heart on bringing him out of the dark and back into the light… whether he likes it or not. Since her mother’s death, Naomi Esch has been devoted to caring for her father and siblings, sacrificing any hope of finding love or having a home of her own. Still, working at the local bakery and expanding her beekeeping business gives Naomi a satisfying sense of purpose. Then, in the weeks before Christmas, her father announces his plans to immediately remarry. He and his new wife need the house for themselves, and suddenly Naomi’s life is turned upside down. But new opportunities soon come her way. A friend provides Naomi with a place to stay, and widower Nathan King offers his sprawling farmland to Naomi to continue her business—on the condition that she helps take care of his children. The setup is so perfect that the community assumes a wedding will inevitably follow. But Naomi has vowed never to marry without love. And to Nathan she’s merely convenient help. Now, for those in Pleasant Valley, uniting these two stubborn souls may take a Christmas miracle. “Promise Me You’ll Help Her.”Former Union soldier Jeremiah “Jack” Murphy should never have given his word to a dying man, especially a Rebel. But now he feels honor-bound to carry the message to the man’s young bride. Besides, with false charges following him, Jack needs somewhere to turn. After he fulfills his promise, perhaps the North Carolina mountains can give this weary soldier some shelter. 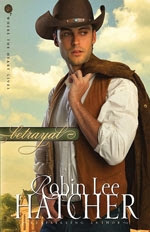 Yet when he meets beautiful widow Sayer Garth, leaving is the last thing on Jack’s mind. Sayer, and her young sisters-in-law, need help that Jack is more than willing to provide. If only he could be certain that his presence—and his secrets—won’t put them all at risk…. This is a wonderful, heartwarming story that I very much enjoyed! Ms. McDonough captured my attention in the very beginning, and I wanted to keep reading to find out what was going on. Sarah was a such a sweet young lady, and enjoyed getting to know her. She endured a lot of difficulties, but she was able to overcome them, and still be the sweet and helpful young lady she is. If you enjoy historical fiction, you will sure enjoy this one! 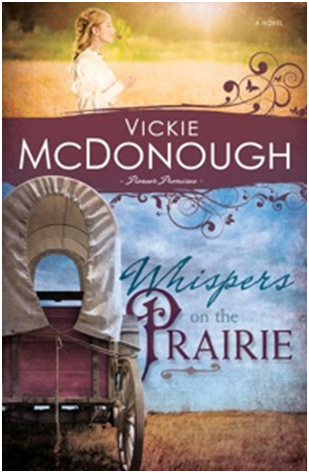 You will be delightfully pleased you picked Whispers on the Prairie! The scribe Sarah married Darius, and at times she feels as if she has married the Persian aristocracy, too. There is another point she did not count on in her marriage-Sarah has grown to love her husband. 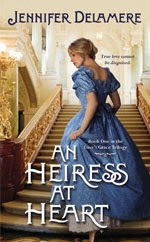 Sarah has wealth, property, honor, and power, but her husband’s love still seems unattainable. Although his mother was an Israelite, Darius remains skeptical that his Jewish wife is the right choice for him, particularly when she conspires with her cousin Nehemiah to rebuild the walls of Jerusalem. Ordered to assist in the effort, the couple begins a journey to the homeland of his mother’s people. Will the road filled with danger, conflict, and surprising memories, help Darius to see the hand of God at work in his life-and even in his marriage? 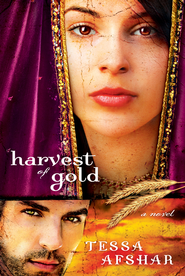 If you’d like to read the first chapter of Harvest of Gold, go HERE. I love, love Rosemary’s Cottage, the book, and the cottage on Hope Beach. It is cozy, calm, relaxing and just an enjoyable place to be. That is until two people die and their deaths are a mystery. Well a mystery to Amy because one of the victims was her brother. But can she convince everyone else that Ben and Gina’s deaths were a murder? Gina’s brother Curtis hadn’t thought much about it since Gina’s death was ruled an accident. But as Amy and Curtis start looks for clues, strange things start to come to surface that confirms what Amy has thought all along. This is an awesome story to read! Colleen Coble has a way of capturing your heart and attention on the very first page and keeping it until long after you finish reading the story. Amy and Curtis are adorable, and I love the attraction between them, even though they don’t see it. And then there is Raine, Gina’s baby that she left in Curtis’ care. Who is the father of Gina’s baby? Could it be Ben, which would make Raine Amy’s niece? Tensions soar when Amy tells her parents that their son may have fathered a child and kept her a secret from everyone. This is really a mixed up, twisted up story in every way, and I love the way Colleen keeps the plot so tangled up, keeping readers guessing about what is happening, and who is behind all of the secrets. And the ending, well…..I never, ever would have guessed how everyone would unfold. Thats what makes Ms. Coble the awesome author she is, showing the expert writer she is. You don’t want to miss this second book in The Hope Beach Series, Rosemary’s Cottage. And don’t forget to pick up the first book in the series, Tidewater Inn. Lofty dreams of a new and better life lured untold thousands to America between 1775 and 1906. Among those “huddled masses yearning to be free” are nine displaced individuals dumped upon American soil and trying to figure out how to pursue happiness, make a home, and secure love. Journey with them through this beautifully packaged collection of nine romances by top Christian authors, including Judith Miller. I enjoy reading a book with stories short enough that I can read them in one setting, and that is just what Immigrant Brides is. Eight awesome and talented authors write nine heartwarming novellas. Each of these bride immigrated to the United States from several different countries. I enjoyed getting to know theses ladies and it was interesting watching them settle in their new environment. Each story is heartwarming, you will laugh and you will cry with the characters as they struggle to fit in with their new families and environment. Barbour Books has a number of books like this, books that are a collection of short novellas written by well-known authors. If you have never read any of these books from Barbour Books you are missing a real treat. They are not only awesome books to read, they are beautiful, larger than your regular fiction book, the covers have inside flaps, the pages have a ragged look, and they are very high quality. 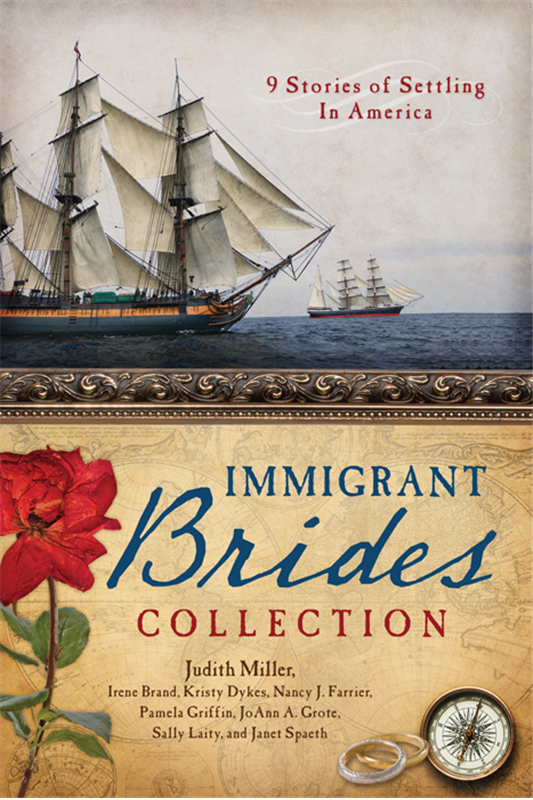 I love the beautiful cover of Immigrant Brides; it fits the stories in the book. I encourage you to check out a copy of this book, you will be very delighted! 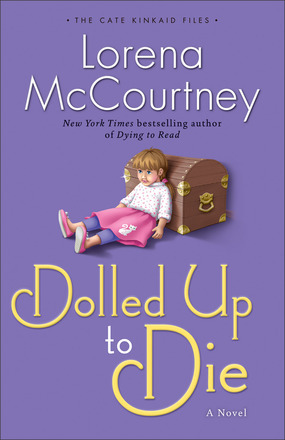 When you look at the book, and read the title, Dolled Up to Die, you really don’t think about a murder/suspense story, but that is just what this book is. Cate Kinkaid enjoys working for her uncle as an assistant investigator, but she had the surprise of her life when she answers the phone about three murders that has taken place. But why are the police not in a hurry to check it out? Cate arrives on the scene to find three dolls that were shot, but then there is another one, but this one is real, has real DNA. I LOVE dolls, so I was sad that three dolls were shot! But better dolls that people! This is the second book in this series, and the second book I have read by Lorena McCourtney, and I really like her style of writing. She has a way of weaving humor and suspense together that makes you want read more and more of her work. The characters she created for this story are unique and interesting, and I have enjoyed getting to know them. Dolled Up to Die is a delightful and enjoyable murder mystery that you will want to add to your library. I encourage you to pick up your copy asap! 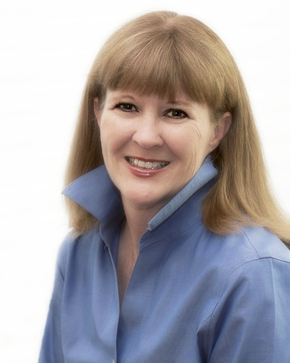 Lorena McCourtney is the New York Timesbestselling and award-winning author of dozens of novels, including Invisible (which won the Daphne du Maurier Award from Romance Writers of America) and Dying to Read. She resides in Oregon. Anna has lost so many people in her family that she decides to join Boone’s Lick Company Wagon Train and travel west to start a new life. Before the train is to leave, Anna is to marry Boney, a childhood friend. The trouble is, she doesn’t love Bony but she feels she has to because she promised. But the way things worked out, they didn’t get married, causing an interesting and difficult situation at times. I enjoyed the journey of Anna and her friends as they traveled cross county. I’ve always enjoy reading about Wagon Train journeys, so this one was another special one for me to read. If you have read The Quilted Heart Series from Mona Hodgson, you will recognize a lot of the same characters in this book, so that makes it more interesting for me, because I enjoyed reading more about these believable and realistic characters. The journey was heartwarming, even through the difficulties. If you enjoy historical fiction, this book will be a great for you! I received this book from the publisher Waterbrook through their Blogging For Books review program to read and review. I was not required to write a positive review. The opinions I have expressed are my own. I am disclosing this in accordance with the Federal Trade Commission’s 16 CFR, Part 55. Married forty years to her leading man, Mona from Arizona lives in the Southwest where trees have arms instead of branches, rock yards replace lawns, and salsa takes the place of ketchup. When Mona isn’t writing or speaking at a women’s event, she’s playing Wii games with her Arizona grandson, spending time with her mom, picnicking, chatting on Skype with her grandchildren in Africa. Mona is a speaker for women’s groups, Christian women’s retreats, book clubs and reading groups, schools, and conferences for writers and librarians. She holds professional memberships in American Christian Fiction Writers (ACFW), Women Writing the West, Christian Author Network (CAN), and Advanced Writers and Speakers Association (AWSA). Hope shines brightest when all seems lost. Stephanie London led a life of comfort and ease in St. Louis before feeling inexplicably drawn back to her father’s roots in the tiny Southern town of Hope Springs. Charlotte Willoughby has lived there all her life and longs to make a new life somewhere else. Stephanie doesn’t know exactly what she’s doing there—or how to occupy her time. And Charlotte doesn’t understand why, despite her overbearing family and reminders of her failed engagement, she’s suddenly led to stay. Despite its small-town charm, Hope Springs itself is at a crossroads. After a failed reconciliation attempt by two well-meaning pastors, the town is split along racial and cultural lines, with little hope for redemption. When a terrible tragedy puts Hope Springs on the national radar, the entire town is tested, and both Stephanie and Charlotte feel their lives unraveling. In the midst of heartache, though, they’ll discover the true color of hope . . .
Wow, another awesome story from author Kim Cash Tate! I love the characters because they are so well established and believable. I have enjoyed their journey, through their difficulties and struggles. And the way Ms. Tate weaves Bible truths and promises throughout her book. If you’ve never read one of Kim Tates books, you are missing a real blessing. I appreciate that she doesn’t takes sides with blacks or whites, instead she looks at everyone as the people God created, and looks on the inside not the outside. Ms. Tate does an amazing job of dealing with racial issues in her books. To me it is just so heartwarming, because I feel the same way she does, so that makes her books so much more special to me. I really want to encourage you to pick up a copy of The Color of Hope, and be ready for special treat while reading. I received this book from the publisher Thomas Nelson through their blogging program, BookSneeze, to read and review. I was not required to write a positive review. The opinions I have expressed are my own. I am disclosing this in accordance with the Federal Trade Commission’s 16 CFR, Part 55. My life is marked by one big bright neon line down the center, showing a clear before and after. For twenty-seven years, I lived without Christ, and everything was colored by the things of this world. Growing up in Prince George’s County, Maryland, raised by divorced parents, black, female, college and law school-educated—all of it and more informed my opinions, decisions, attitudes, and actions. All of it gave me a ground-level perspective. But in my mid-20s, God, in His lovingkindness, began to draw me—by dragging me halfway across the country from the D.C. area to Madison, Wisconsin. Away from friends, family, and the diversity I’d always known, I was miserable. I cried out to God . . . the God I’d heard about in Catholic grade school. Didn’t they say He could perform miracles? Then surely He could get me out of there! God did perform a miracle, but not in the way I sought. He didn’t get me out of Madison. He changed me forever in Madison. He saved me, raised me, and seated me in heavenly places. Suddenly I had an aerial view. The bright neon line was drawn, and my “after” would begin. But I didn’t understand any of that at first. I had no idea God would change everything about my world. With broad brushstrokes, He began to paint over my perspective as I grew to know Him and His Word. We did eventually leave Madison. We moved to Dallas, then St. Louis, where we’ve lived for ten years. But as the seasons of our lives shift, that same “coloring” process continues. I haven’t had a single day yet where something about my perspective didn’t need adjusting. As a wife of nineteen years and mom of two teens, I don’t have to look far to find a challenge, struggle, or worry. Add the other hats I wear and, well, you can probably identify. But no matter the issue, when I color my perspective in Christ, things change. I find hope, peace, and joy. I find eternal wisdom. I find truth. Find the Holy Spirit throughout the Bible. Dr. Jack Hayford, founding pastor of The Church on the Way, has led a team of anointed leaders to produce the New Spirit-Filled Life Bible. Even after more than twenty years, the Spirit-Filled Life Bible offers a fresh look at the Scriptures and the work of the Holy Spirit. This Bible addresses important issues of Spirit-filled living in the context of solid biblical scholarship. The New Spirit-Filled Life Bible, New Living Translation is a really nice study Bible because the NLT is easier to read and understand what the verse is saying. The copy I have is Hardcover and the color is maroon and black on the cover and throughout the Bible. I think the color is very pleasing to the eye. There are a number of study tools throughout this Bible to help you understand what you are reading. Throughout the Bible there are framed sections that help explain and teach an important truth in the chapter. I found the Word Wealth very interesting because it takes a word and breaks it down so you can understand the passage better. There are many more wonderful study tools to give you wisdom and understanding. I highly recommend this Bible for your Bible study tool. enjoyed this series and seeing the Amish lifestyle through one of the younger generation. 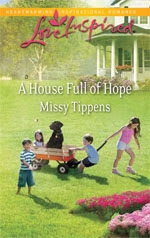 Now in their new life in Pennsylvania, and Lily’s everyday life is an adventure, some good and some bad, but it all weaves together and gives readers a heartwarming adorable story to read. 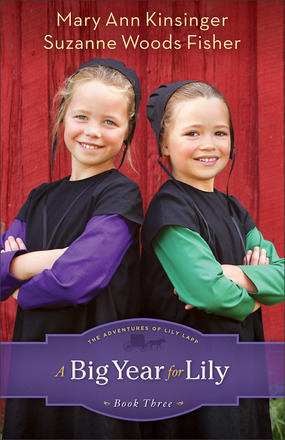 I read a lot of Amish books, and I really enjoyed a different take on the Amish life from Lily. The characters of Lily and her girlfriends were special and I have grown to love them over the last three books. I think tweens and teens alike would really enjoy The Adventures of Lily Lapp Series by Susan Woods Fisher. All of these stories are fun, entertaining, and enjoyable, as well good, clean fun. My copies of the books are going to my 10 year-old niece. 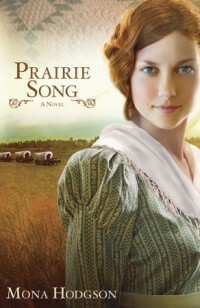 I encourage you to pick up a copy of this book, and the first two in this series for a special young lady in your life. 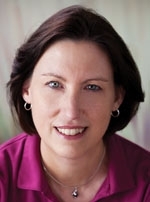 Suzanne Woods Fisher is the bestselling author of The Letters, the Lancaster County Secrets series, and the Stoney Ridge Seasons series, as well as nonfiction books about the Amish, including Amish Peace. 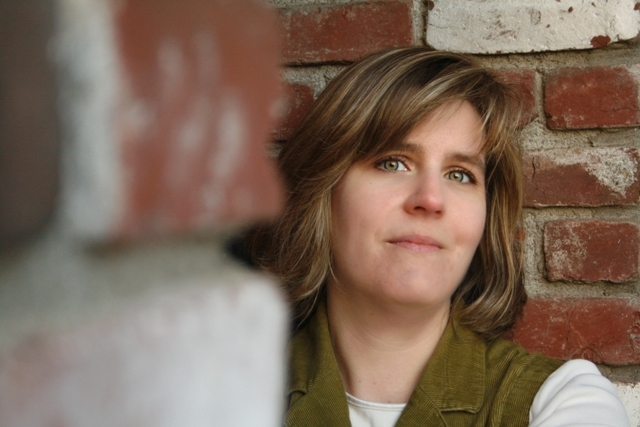 She is also the coauthor of an Amish children’s series, The Adventures of Lily Lapp. 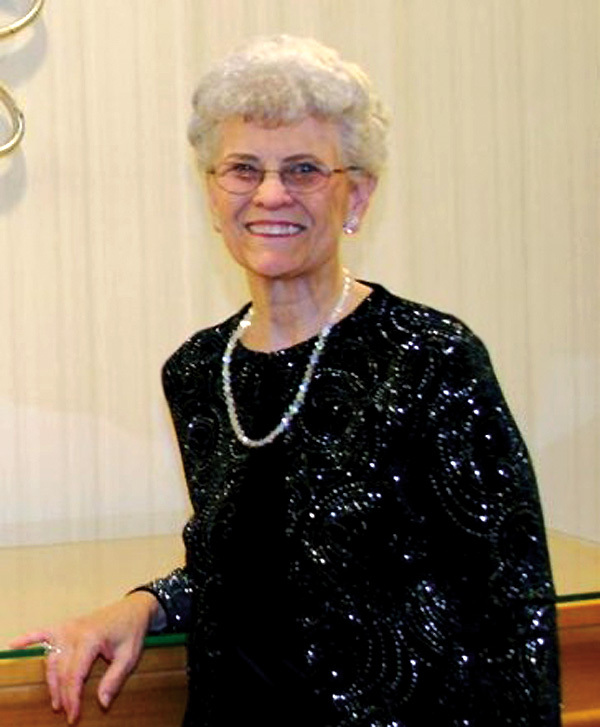 Suzanne is a Christy Award finalist and a Carol Award finalist. 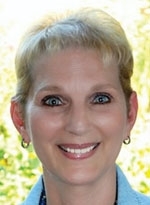 She is the host of internet radio show Amish Wisdomand a columnist for Christian Post and Cooking & Such magazines. She lives in California. 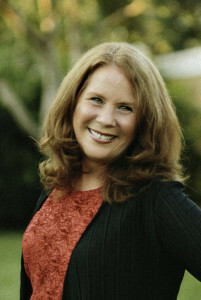 For more information, please visit http://www.suzannewoodsfisher.com and connect with her on Twitter @suzannewfisher. Suzanne Woods Fisher is celebrating the release of A Big Year for Lily, book three in the beloved Adventures of Lily Lapp series, with a giveaway extravaganza! Enter today by clicking one of the icons below. But hurry, the giveaway ends on July 27th. All winners will be announced July 29th at Suzanne’s blog. Michael K. Reynolds is the writer and producer of Emmy and Telly Award-winning film campaigns and has more than two decades of experience in fiction, journalism, copywriting, and documentary production. He owns Global Studio, a marketing agency, and is also an active leader in church and business, speaking in both ministry and corporate settings. 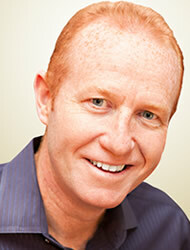 Michael lives with his wife and three children in Reno, Nevada. Irish immigrant Seamus Hanley is a lost soul, haunted by his past as a U.S. Army deserter and living alone in the wilderness of the Rocky Mountains in 1849. But after witnessing a deadly stage coach crash, he finds purpose in the scattered wreckage — a letter with a picture of a beautiful and captivating woman named Ashlyn living in San Francisco at the height of the Gold Rush. Moved by her written plea for help, he abandons all and sets out on an epic journey across the wild and picturesque American frontier. While being pursued by those who want to hang him, Seamus encounters fascinating characters including a young Pauite Indian who makes the ultimate sacrifice in helping Seamus to cross the snowy Yosemite Valley. 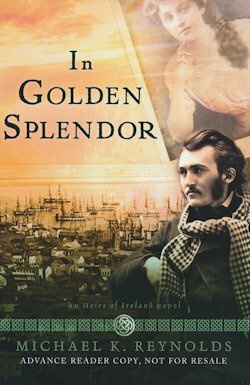 Battered but changed for the better, Seamus reaches San Francisco on Christmas Eve as the city burns in the tragic fire of 1849. But there is little time for rest, as an even greater, more harrowing adventure involving Ashlyn is about to begin. Loved this intriguing story my Michael Reynolds. Seamus Hanley gave up everything in search for a women who left a note at a deadly stage coach crash. This book has so much going on you will not want to put it down after you start reading. I loved the setting, and the vivid details about the different places Seamus encountered during his journey. And there are so many twists and turns in that journey that keeps you guessing what is going to happen. I really want to encourage you to pick up a copy of this wonderfully written story for your enjoyment. You will surely be entertained with this one! Martha Rogers’ novel Not on the Menu debuted on May 1, 2007, as a part of Sugar and Grits, a novella collection with DiAnn Mills, Janice Thompson, and Kathleen Y’Barbo. Her series Winds Across the Prairie debuted in 2010 with Becoming Lucy, Morning for Dove, Finding Becky, and Caroline’s Choice. 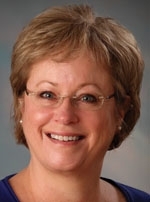 Her other credits include stories in anthologies with Wayne Holmes, Karen Holmes, and Debra White Smith; several articles in Christian magazines; devotionals in six books of devotions; and eight Bible studies. Martha served as editor of a monthly newsletter for the writer’s organization Inspirational Writers Alive! for six years and is the state president. 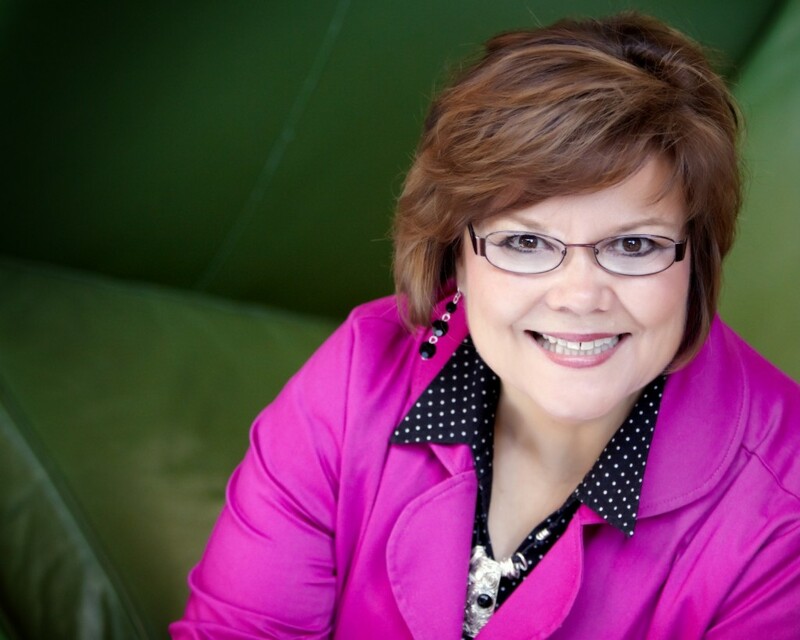 She is also the director for the annual Texas Christian Writer’s Conference and is a member of American Christian Fiction Writers, for whom she writes a weekly devotional. Can Sallie and Manfred overcome the distance that the war has put between them and find love? In April 1865, the day following the surrender at Appomattox, Manfred McDaniel Whiteman and his brother, Edward, are released in an exchange of prisoners. They are given a few provisions, and they begin a long journey to their home in Bayou Sara, Louisiana. At home Sallie Dyer is waiting word of her beloved Manfred. Though just a young girl when Manfred left, Sallie has grown into a caring young woman who is determined to wait for her love—despite her father’s worries that she is wasting her life on someone who may never come home. On their journey Manfred and his brother encounter storms and thieves and are even thrown in jail. Will he make the journey home before someone else claims Sallie’s hand? I have read many of Martha Rogers’ books and I really enjoy them all. 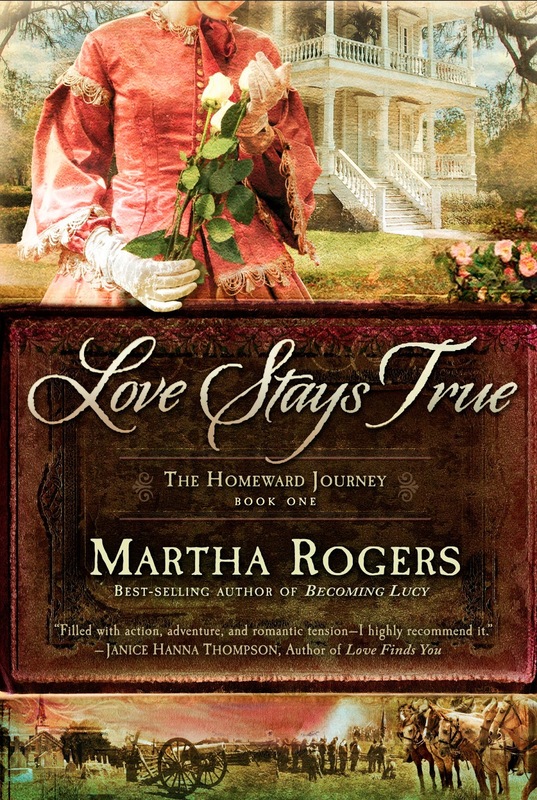 And Love Stays True is another wonderful historical story that was a joy to read. I live about an hour from Appomattox and been there many times, so after reading the back cover and saw Appomattox mentioned, I was excited to read this book. The story of Sallie and Manfred was captivating in itself, but the fact that they were real people and part of Ms. Rogers historical family was intriguing. Sallie was like so many of us at times, she just couldn’t trust God to help her through difficult times. I always like that Ms. Rogers weaves Bible truths and principles throughout her stories, as she did with Sallie. Take these facts, and add all of the history involved in this story and you will find a historical fiction that will be on your mind for a long time. I encourage you to give Love Stays True a try, you will be in for a treat! You will be taken back to a period in time that life was more difficult, but people are still the same and struggle with the same issues. Martha Rogers does a wonderful job of weaving it all together to give us a story to love and cherish. I received this book from FIRST WildCard Tours to read and review. I was not required to write a positive review. The opinions I have expressed are my own. I am disclosing this in accordance with the Federal Trade Commission’s 16 CFR, Part 55. Point Lookout, Maryland, Monday, April 10, 1865Cold air chilled his arms, and a sharp object poked at his cheek. Manfred Whiteman reached down to pull a ragged blanket up over his arms and brushed away the straw scratching his face. A few moments later a sudden brightness aroused him again. His lids opened to a slit. Slivers of sunlight peeked through the tiny windows and dispersed the shadows of the night. He shut his eyes against the sun’s rays, but sleep would not return. He lay still in the quiet of the new morning and sensed a difference in the air that settled over him like a cloak of peace. Raising his head, he glanced around the room. The same familiar stench of wounds, dirty hay, unwashed bodies, and death permeated the air, but in it all the difference vibrated. Something had happened, he could sense it, but nothing unusual appeared in the confines of the prison barracks. After being captured in the Battle of Nashville in December, he, his younger brother Edwin, and other prisoners had made the long march from Nashville to Louisville, Kentucky. From there they were transferred to Camp Chase in Ohio. Then, in the first week of February, they had been loaded onto trains like cattle and sent to Point Lookout, Maryland, a prison housing nearly fifty thousand men. Upon their arrival the captured soldiers had been stripped of everything personal, and as the days progressed, hundreds of men died. Manfred mourned the loss of friends but thanked the Lord every day for sparing his life, as well as the life of his brother. Edwin lay sleeping on the pallet next to him, curled on his side as usual. Others still slept, their snores filling the air with sound. No use in trying to sleep now. Manfred’s stomach rumbled with hunger, but most likely the only breakfast would be hard tack or biscuit. Several weeks ago an officer with the rank of general had visited. For some reason the general had asked Manfred about the one thing he would most like to have. When Manfred answered he wanted his Bible, the man had been somewhat taken aback. Still, he’d managed to find the Bible and Manfred’s journal, which he returned. Manfred now pulled that worn journal from beneath his dirty mat. The almost ragged book, his lifeline for the past three years, fell open. Manfred wrote. Three more died the night before last. The nearly full moon shining through the windows gave me light to see. I took one man’s shoes and left him with my holey wornout ones. He won’t need shoes, but I will. Took his socks and another man’s for me and Edwin. God, I never dreamed I would do such a thing, but we are desperately in need. Please forgive me. Help Edwin and me to get out of here and get home safely. I so desperately need to see Sallie and my family. The scrape of wood against wood echoed in the room. Union soldiers, making their usual morning inspection, checked for any who may have died during the night. Manfred shoved the journal under his mat just before the door thudded against the wall and the guards’ shoes clomped on the wooden floors. He turned on his side once again to feign sleep. The blunt toe of the sergeant’s boot kicked Manfred’s hip and sent a sharp pain through his leg. He grunted in response and raised his head to let the sergeant know he was alive. When the man passed, Manfred sat up on his mat and stretched his legs out in front of him to relieve the usual early-morning stiffness. Others awakened, and their groans filled the air as they rose to sit on their bedding. Manfred waited for breakfast, not knowing if he would even get rations this morning. The guards exited carrying the bodies of the souls who didn’t make it through the night. Manfred voiced a silent prayer for the boys and their families who would receive the news of the death of their loved ones. He bit his lip. He and Edwin had to survive. They had too much life to live, but then so had the ones just taken away. What if God chose not to spare him or Edwin? No, he wouldn’t think of that. Instead he filled his mind with Scripture verses memorized as a child. God’s Word stored in his heart gave him the comfort and hope he needed to survive each day. A little later the guards returned and ordered them to the part of the cookhouse where they would eat what the cooks passed off as food. Manfred accepted the cup of what the men called “slop water” coffee and a hard biscuit that would have to suffice until they brought a lunch of greasy water soup. Weeks ago the putrid smells of death, the filth in the camp, and the lousy food sickened him, but now he barely noticed. The man clasped a trembling hand around the cup and reached for the biscuit with his other. A few drops sloshed over the rim. “Thank you, Manfred. You’re a true friend.” He stuffed the biscuit into his mouth and lifted the cup to his lips to gulp down the last dregs of liquid. With a nod to Manfred, the young soldier returned the cup. After they were sent back to their quarters, Manfred breathed deeply and almost choked on the rancid air. What he wouldn’t give for a bath, shave, and haircut. A good meal wouldn’t hurt anything either. His nose had mostly numbed itself to his body odor, but dirt and scum became more visible every day. When he had tried to wash his shirt, the brackish water left stains he couldn’t remove. When would this nightmare come to an end? A question unanswered for these four long months of marching, fighting, and incarceration. Too many lay ill and dying. The end had to come soon. Manfred simply nodded. He didn’t agree with his brother, but Edwin cared more about the war than Manfred. At this point Manfred had resigned himself to waiting out the war. If only he could somehow communicate with Sallie and let her know he was alive. Almost a year had passed since he’d seen her last summer and six months since he’d been able to send a letter to her or received one. From his Bible he removed her last letter and opened it, being careful to handle it as little as possible. Already small holes appeared in the creases from his folding it so often. She had written from her grandfather’s home last fall before he’d gone to Nashville. He prayed her family was safe there in St. Francisville, Louisiana. He’d been at Port Hudson, Louisiana, two years ago and would have been involved in that skirmish in May, but he’d been among the ones in the brigade deployed elsewhere in March. Major General had been sure he had enough soldiers to turn back the siege, but that had not been the case, and Port Hudson fell into Union hands in early July. That battle took place too close to his hometown of Bayou Sara and had even damaged Grace Church up at St. Francisville. He’d seen the damage on his furlough home. His two older brothers had been captured at Port Hudson, and Manfred had no idea where they were now. St. Francisville may have been spared, but it had been a close call for Sallie’s grandparents and the other citizens of the small town. He held the worn paper to his lips. With God’s help he’d get home and claim Sallie for his bride. The hair on the back of his neck bristled, and goose bumps popped out on his arms. The foreboding feeling from earlier wouldn’t leave and swept over him now even stronger, as though he sat on the edge of something powerful looming in the day ahead. Sallie Dyer sat at her dressing table running a brush through her mass of tangled curls. Tears blurred her image in the mirror, and she grimaced as the bristles caught in another snarl. She dropped the brush onto her lap. Sallie lifted her tear-stained eyes and found Lettie’s reflection in the mirror staring back. “Oh, but the waiting is so hard.” Sallie swiped her fingers across her wet cheeks. In a letter last fall Manfred had written that he was headed to Nashville. Stories coming back from that area spoke of the volumes of soldiers killed at Franklin and then up at Nashville in December. Reports said the surviving young men had been taken prisoner, but no one knew to which prison. “Yes, Miss Sallie, I do, and when he comes, you’ll be ready and waitin’.” In a few minutes Lettie’s skilled fingers had tamed the unruly ringlets and secured them with a silver clasp at Sallie’s neck. “Thank you. I’m all out of sorts this morning. Here it is April, and I haven’t heard a word since November.” Her fears tumbled back into her mind. “Too many have died, and I don’t want Manfred . . . ” She couldn’t utter the words. Saying them might make them true. She pressed her lips together and pushed a few stray tendrils from her face. She had to get her fears under control. She once believed God would give her the peace He promised, but no matter how hard she prayed, no answers came. God had abandoned her on that awful day last week when she had killed that young man. He hadn’t protected her that afternoon, and now her prayers fell on deaf ears. After blinking her eyes to clear them, Sallie stared into the dark brown eyes of her friend. Lettie had been with Sallie since childhood, and they shared so much life with each other. If it had not been for Lettie and her mother, Sallie might never have regained her sanity after the incident in Mississippi that brought them all to St. Francisville. A chill passed through her body at the memory of the day they had fled from their home. Sallie’s last act of defense would be one that would stay with her the rest of her life. Even now she could see the young soldier with the red oozing from his chest. It was the first time she’d ever seen a dead person, and now, only a week later, the image would not leave her, fresh as the day it happened. How well Lettie knew her. Sallie sniffed and blinked away the tears. True. Of the five Whiteman brothers, only Edwin and Manfred remained unaccounted for. Charles and Henry Whiteman had been taken prisoner at Port Hudson but exchanged and sent home. Even Theo now sat safe at home after his last escapade revealed him too young to be in the army. She must have hope for Manfred and Edwin. “You and Mama, the eternal optimists, but I love you for it. You always know how to make me feel better.” Sallie breathed deeply and reached for a green ribbon to secure in her hair. She would get through this day just as she had all the ones since Manfred left. Then the memory of what she overheard between her father and mother last night drained away her determination. She peered up at Lettie. “I need to tell you something.” Sallie squeezed the hand now clasped in hers. Sallie’s lips trembled. “Our house in Woodville is ruined. The Yanks ransacked the place and took all kinds of things from our home. Papa said they’d left it in shambles. Mama’s beautiful things. Oh, Lettie, it’s just terrible.” After Sallie and the other women had fled the land, Papa and her brothers stayed behind until the next day, then joined the rest of the family in St. Francisville. He’d gone back to Woodville a few days ago, a twenty-five mile journey, when he heard the Yankees had moved on north. Sallie squeezed Lettie’s hand again and for the next few moments sat in silence. Lettie understood her better than anyone else. The servant girl knew her deepest secrets and could be trusted to keep them. That statement brought a bit of smile. She did love Grandpa Woodruff, but he could be gruff when the occasion arose. She hastened over to a bench by the bed and picked up a green and white print cotton dress. Lettie grasped it and slipped her arms up inside it, and Sallie held up her arms. 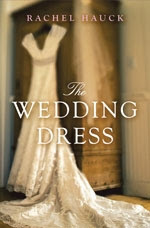 The dress billowed about her as Lettie placed it over Sallie’s shoulders. She pulled the bodice up over arms and let the full skirt fall down over her hips and the myriad number of petticoats. At least Mama and Grandma didn’t require her to wear a corset or hoops with her day dresses. Lettie’s nimble fingers went to work on the buttons lined up the back. “I think you lost more weight, missy. This dress is looser than it was last week. You sure don’t even need your corset. You have to eat more.” She peered over Sallie’s shoulder into the mirror and shook her head. Sallie nodded. “I promise I’ll eat some of everything this morning.” A promise she would try to keep, especially with her grandmother’s and Flora’s cooking being so delicious. The two girls locked arms and walked down the stairs together. At the bottom Lettie headed for the kitchen to help her mother. Sallie forced a smile to her lips and went into the dining room to join her family for breakfast. Grace Meredith is a beloved contemporary Christian recording artist whose career–and personal life–hits unexpected turbulence. She feels grounded–in more ways than one. Grace s fiancé, bothered by her outspoken stance on purity and her near-constant travel, has broken off their relationship. Exhausted and unable to continue her current concert schedule, Grace returns home to Chicago, where she is soon stranded in a major snowstorm. Facing new questions about her future and her faith, Grace finds herself connecting for the first time with the residents of her neighborhood. What she discovers in these unexpected relationships could change everything. 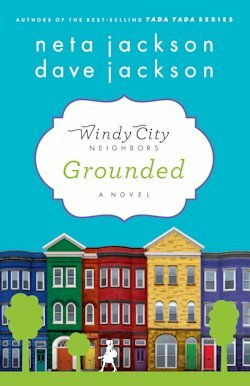 The first in the Windy City Neighbors series, Grounded is an uplifting, contemporary story about ordinary people wrestling with the spiritual and practical issues of real life. The series employs the innovative storytelling technique of parallel novels, each with its own drama and story arc, but whose characters lives become intertwined and affect one another. Grounded welcomes you to Beecham Street–a typical, isolated American neighborhood that might just be a place of hope. A wonderful and encouraging story about people who struggle with everyday life issues. I highly recommend this inspirational book for anyone to read for enjoyment and for help with your own disappointments and difficulties. 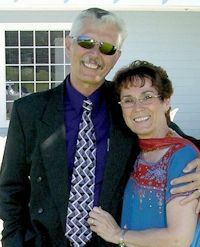 Authors Neta and Dave Jackson are gifted and talented writes that will bless your hearts! Rosemary’s Cottage is a nice cozy and enjoyable book to read. The setting is on Hope Beach, and the characters all know their way around a beach. Curtis and Amy are trying to figure out who murdered their siblings, but the authorities say both the death of Curtis’ sister and Amy’s brother were accidents. But Amy doesn’t take that as final, so she does her own investigating. Can she prove that these two lives were brutally taken? There is a lot going on in this story, but I really like the way the author weaves it all together and ends up with a very unique ending. You are sure in for a real treat when you read Colleen Coble’s newest novel, Rosemary’s Cottage. She will definitely keep you on the edge of your seat until you read the last word! Bestselling author Ann Gabhart weaves a timeless story of love, sacrifice and longing that will grip the heart and stir the spirit. In her gentle and textured style, Gabhart takes the reader back to a time when days moved slowly and life was simple. A world that was about to change forever. In the autumn of 1941, rumors of war whisper through Rosey Corner. The town waits in anticipation as if holding its breath. But for Kate Merritt, it seems life is letting out a prolonged sigh. As Kate watches her sister marry the man Kate has loved since she was fifteen, her heart is silently breaking. And even the attentions of handsome best man Jay Tanner can’t draw her interest. Then suddenly, Pearl Harbor changes everything. Kate’s friends are rushing to get married before the boys go off to war. The newspapers talk of women making airplanes and bombs. Everyone in town begins rolling bandages, planting victory gardens and collecting scrap metal. Kate finds herself drawn to Jay in surprising ways, and when he enlists she can hardly breathe worrying about him getting killed. Could she truly be in love with him? And if she is, will she ever see him again? Fans of Angel Sister will be thrilled to see Kate Merritt all grown up. New readers will find that Gabhart tells a beautiful story that will touch their hearts and win their loyalty. I really loved everything about this book! The characters were realistic and believable, the setting was an interesting era to read about, and I enjoyed the slower pace living conditions of the small town. Jay Tanner came from a difficult past, so thought he had no place in anyone’s family, but was really wishing he could be a part of Kate’s close family. But was that really to be? Kate and Tanner didn’t have a chance because of Mike, because Mike didn’t think Jay was good enough for Kate, but yet knowing Kate was in love with him, he fell in love and married Kate’s sister. And then there is Kate’s little sister who immediately fell in love with Jay, and Jay adored Birdie, as he called her, as well. Mike was the local church minister, and preached to Jay all of the time, but never reaching him. So what else is there to do for Jay except join the military and strike out on his own again? There is a lot going on in this story, so it will definitely keep your attention! Ann Gabhart does a wonderful job of weaving everyone’s situations together and working them out to make a wonderful read for all of her fans. And if you haven’t read any of Ms. Gabhart’s books, you are missing out! 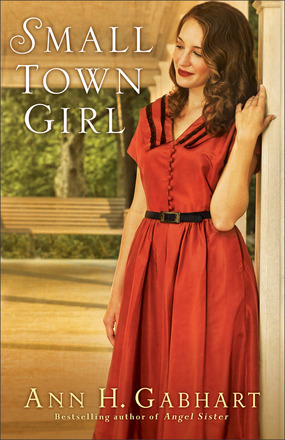 I encourage you to pick up a copy of Small Town Girl today! You will be pleased with your choice! I received this book from Revell to read and review. I was not required to write a positive review. The opinions I have expressed are my own. I am disclosing this in accordance with the Federal Trade Commission’s 16 CFR, Part 55. 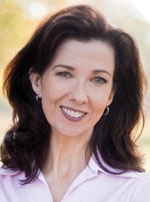 Ann H. Gabhart is the bestselling author of several novels, including Angel Sister, Words Spoken True, The Outsider, The Believer, The Seeker, The Blessed and The Gifted. She lives with her husband a mile from where she was born in rural Kentucky. Find out more at http://www.annhgabhart.com. “The characters of Ann Gabhart’s Small Town Girl pulled me into their lives and did not let me go. This love story, painted upon the canvas of a small Kentucky town struggling with WWII, is one of the most riveting historical romances I’ve ever read.” – Serena B. Miller, winner of the 2012 RITA award for Inspirational Romance. Jocelyn Green is a child of God, wife and mom living in Cedar Falls, Iowa. She is also an award-winning journalist, author, editor and blogger. Though she has written nonfiction on a variety of topics, her name is most widely recognized for her ministry to military wives: Faith Deployed. Her passion for the military family was fueled by her own experience as a military wife, and by the dozens of interviews she has conducted with members of the military for her articles and books, Faith Deployed: Daily Encouragement for Military Wives and its sequel, Faith Deployed…Again: More Daily Encouragement for Military Wives. 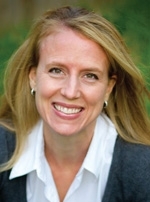 She is also co-author of both Stories of Faith and Courage from the War in Iraq & Afghanistan and Stories of Faith and Courage from the Home Front (forthcoming, May 2012). Her Faith Deployed Web site and Facebook page continue to provide ongoing support, encouragement and resources for military wives worldwide. 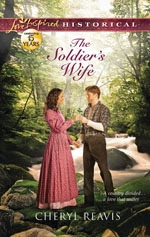 When a horrific battle rips through Gettysburg, the farm of Union widow Liberty Holloway is disfigured into a Confederate field hospital, bringing her face to face with unspeakable suffering–and a Rebel scout who awakens her long dormant heart. Widow of Gettysburg is inspired by first-person accounts from women who lived in Gettysburg during the battle and its aftermath. 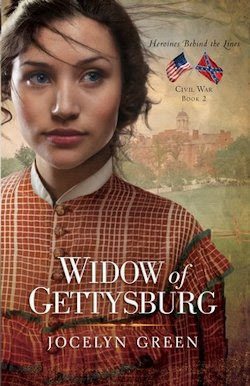 If you would like to read the first chapter of Widow of Gettysburg, go HERE. Priscilla Slater goes to her 10-year high school reunion as a successful business woman. Even though she got rid of her mousy brown hair, swapped out her discount store wardrobe for designer clothes, and now has perfectly straight teeth, she can’t get past feeling like the ugly duckling. Her parents’ disapproval for her choice of careers—running a chain of hair salons—deepens her self-doubt. She experiences self-discovery and learns that things aren’t always as they seem. During the reunion, one woman passes out after starving herself for the event. The class beauty queen appears to have more self-confidence than ever until her ex shows up with his new wife. The reunion organizer has taken her responsibilities to a whole new level that makes the Marines look like Boy Scouts, while her husband drinks too much and makes a fool of himself. The man she always dreamed about being with finally gives her some attention, but when she finds out more about him, she realizes he’s not worth her time. These realizations boost her self-confidence, but now she has to deal with her best friend Tim’s new feelings for her. Join Trudy, Priscilla and Laura as they get ready for their the year high school reunion. Each of these ladies are bringing their own past, heartaches, fears, and everything else going on with them to this reunion. And each is certainly worried about what others will think of them. Laura seems to think Priscilla has a perfect life, but can’t get along with anyone who wants to help plan the reunion, so she ends up doing most of it herself. What is really her problem anyway? And Priscilla runs a small chain of beauty salons but she’s gained weight and thinks shes too fat. Yeah right, fat in a size 8?? And Trudy Homecoming Queen and Miss Piney Point Trudy is now divorced, so what will people think of her situation? 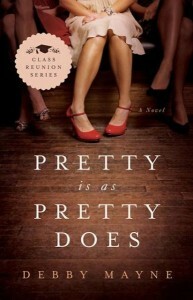 Pretty is as Pretty Does is an awesome read from Debby Mayne. The characters are witty and believable, doing just what ladies do when facing long time friends, or in this case classmates. I really liked Tim and was really wanting Priscilla to make a go of it with him. I couldn’t put this book down once I started reading it. It is fun and enjoyable and I laughed a lot and had tears at times as well. If you are looking for a light, refreshing and fantastic read, I really want to encourage you to pick up a copy of Debby Mayne’s Pretty is as Pretty Does. You are certainly in for a read treat with this book! in accordance with the Federal Trade Commission’s 16 CFR, Part 55. 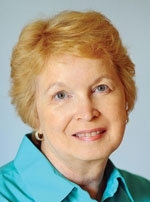 Debby Mayne has published more than 30 books and novellas, 400 print short stories and articles, more than 1,000 web articles, and a slew of devotions for women. She has also worked as managing editor of a national health magazine, product information writer for HSN, a creative writing instructor for Long Ridge Writers Group, and a copy editor and proofreader for several book publishers. For the past eight years, she has judged the Writers Digest Annual Competition, Short-Short Contest, and Self-Published Book Competition. 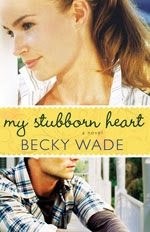 Three of Debby’s books have been top ten favorites by the Heartsong Presents book club. Love Finds You in Treasure Island, Florida received 4-1/2 stars fromRomantic Times Magazine, and was named a Top Pick for the month of July 2009. Her latest book is Pretty Is As Pretty Does. 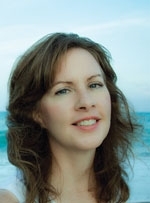 You can visit Debby Mayne’s website at www.debbymayne.com. Connect & Socialize with Debby!